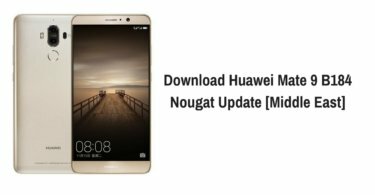 Huawei Mate 9 Pro B226 Android Nougat Firmware is now available for download. 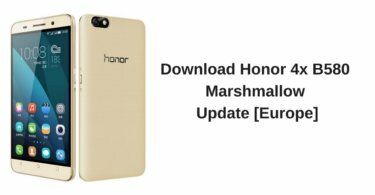 This official update packed with the latest Android 7.0 Nougat and based on EMUI 5.0 OS. This is a very important update for your device which brings a lot of new features, improvements and bug fixes. Here we’ll provide you with the Official Huawei Mate 9 Pro B226 Nougat Firmware Update for LON-L29. Download Huawei Mate 9 Pro B226 Update from below. The update is an Official Nougat update which rolls out in phase wise manner. You can manually check whether the update is available in your region or not. Go to Settings –> About Phone –> Software Update. Many users reported that they still not received the OTA update, so we are providing the Nougat OTA file for Huawei Mate 9 Pro. The update is now available via OTA (Over-The-Air) and many users are already getting B226 Android Nougat on Huawei Mate 9 Pro. If you can’t wait for OTA, you can Download Huawei Mate 9 Pro B226 Nougat Firmware Update from below which has a build number LON-L29C636B226. This Update is only for Huawei Mate 9 Pro. First, you need to unlock the bootloader of Huawei Mate 9 Pro and download and install a custom recovery. Download Huawei Mate 9 Pro B226 Nougat files from above and save it on your device. Now flash the second and third firmware file. Done! Reboot your device and enjoy. This process may take some time, so wait for the process to finish successfully. Once the update process is finished, the phone will Reboot automatically. Done! You have installed the latest Android 7.0 Nougat on your Huawei Mate 9 Pro. If you still have any queries, feel free to ask them in the comments section.